This is a handy form for students to complete for each teacher, or for themselves, at the beginning of the semester. The top section has lines for basic information. Below, the students write down where they will be during each period. 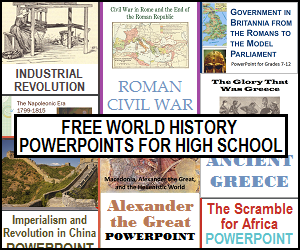 For teachers, this form is very convenient for reaching students outside of class. For example, under "Comments and Notes" for, say, fifth period, the teacher might write: "Resource room; makeup tests." This way, when student Jane Doe is absent for a test, Teacher Jones knows at a glance that she'll be in the resource room during fifth period, where Teacher Jackson is happy to have Jane Doe make up the test she missed. Click here to print this student information sheet (PDF file). 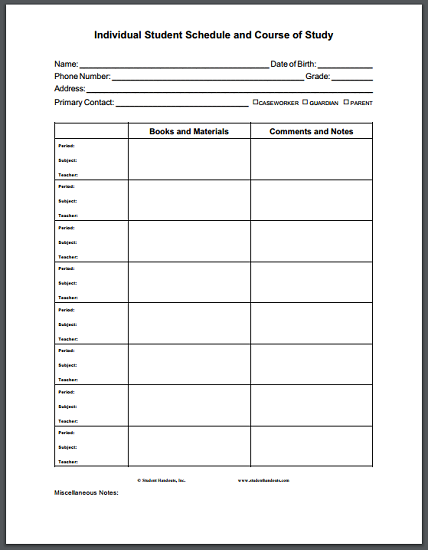 For more of our free printable school forms, click here.